If you’re ready to polish your personal brand, we invite you to join us for Social Studies! 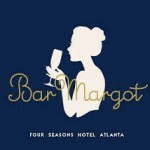 Hosted by Erika Preval within Atlanta’s best restaurants, our curated series of events will equip you with the essential social skills necessary to present your personal and professional best. Fun and interactive, our unique take on finishing school for adults will include ladies luncheons, dinner parties, cocktail parties and bourbon tastings (for starters), insuring your confidence in a myriad of scenarios. Only guests 21 years of age or older are invited to join us for Social Studies. Short on time? 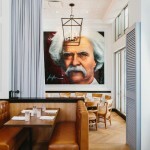 We understand, and have created one-hour events with you in mind: Time Out! Our primer begins with difficult to eat foods, then moves onto cigar etiquette, successful networking, wardrobe and the like. We look forward to hosting you soon! We’ve partnered with Hendrick’s Gin to offer a most special cocktail party. Whether navigating this type of social event as a host or guest, you’ll leave KR Steakbar ready to make a great impression. Fun and fully interactive, we’ll greet you with cocktail and small bites (and cover social skills, of course) before you try your hand at making both under the instruction of Erika Preval and Hendrick’s Mixologist. Registration for this event is limited to allow for a boutique experience. Hope to see you there! Weddings, luncheons and corporate dinners all have one thing in common: round table scenarios that put your dining and social skills to the test! Please join our table of 10 for a 1-hour dining primer covering proper holding of flatware to how to eat bread. You’ll leave focused on making a great impression on your tablemates and not which water glass is yours. First course and wine served. 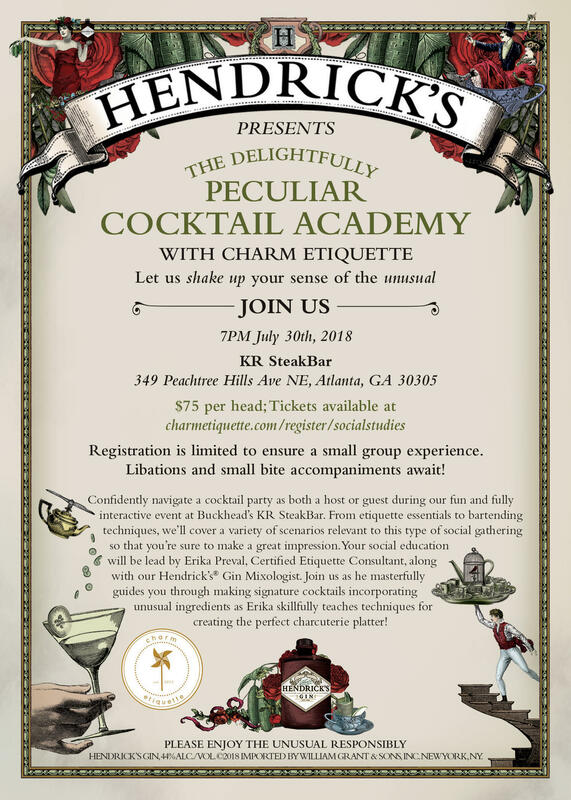 A nod to the classic charm school, during this 1-hour primer, Erika will share essential etiquette tips focused on the social graces. From cocktails and dining to poise and posture you’ll walk away perfectly polished! Ladies only for this boutique experience with small bites and cocktails served.